The Mitsubishi MXZ3B30NA+SLZKA15NAx2 Mr. Slim Ceiling Cassette Dual Zone Mini Split Heat Pump - 30000 BTU is the deal solution for multiple applications, including residential, commercial and industrial. This Mitsubishi MXZ3B30NA+SLZKA15NAx2 Mr. Slim Ceiling Cassette Dual Zone Mini Split Heat Pump System will provide you with 30000 BTU of heating and cooling capacity. 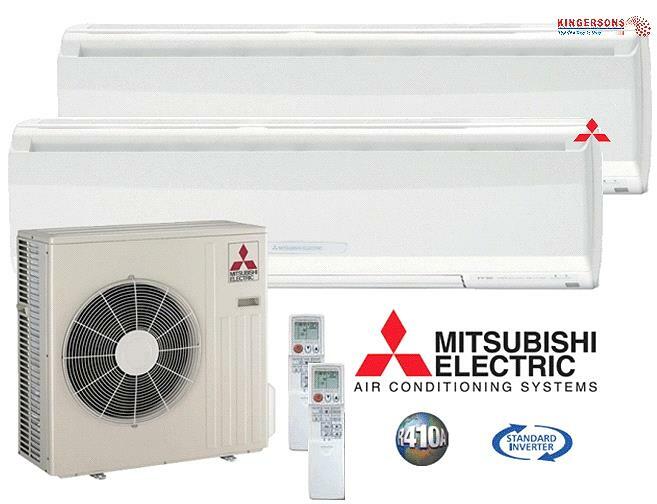 This efficient and effective Mitsubishi Heat Pump System, featuring high reliability and rugged construction, provides an excellent choice where personal comfort and equipment cooling meet. Thanks to Mitsubishi Electric's 30 Years of Experience, proven INVERTER-driven compressors and electronic linear expansion valves, combined with advanced control and sensor technology, provide the right performance to meet critical loads in high reliability applications. This synergy of smart design and cutting-edge environmental technology delivered by the Mitsubishi MXZ3B30NA+SLZKA15NAx2 Mr. 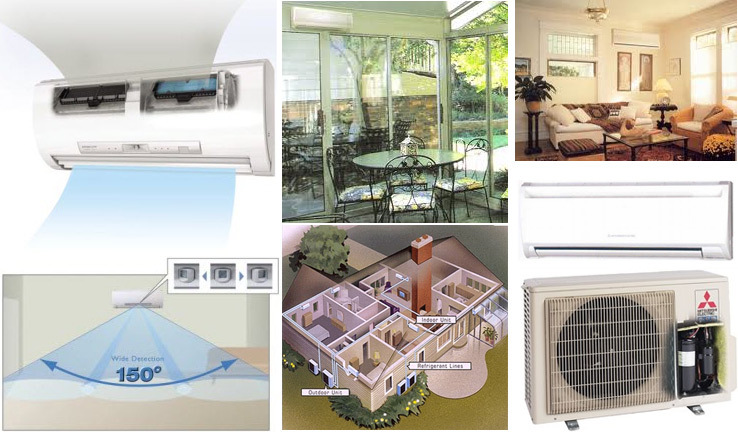 Slim Ceiling Cassette Dual Zone Mini Split Heat Pump System results in true eco-comfort for any space. The MXZ3B30NA+SLZKA15NAx2 Mr. Slim Ceiling Cassette Dual Zone Mini Split Heat Pump System uses Mitsubishi Electric's sophisticated electronic control systems, which detect any changes in room or zone temperature and, like a car's cruise control, automatically adjust the speed of the integrated INVERTER driven compressor in the outdoor unit and the electronic linear expansion valve (LEV) position for precise capacity control. This feature is unlike conventional units, which only start and stop the constant speed compressor repetitively. Special components within the compressor such as high density windings in the motor increase the magnetic flux and artificial magnets in the rotor to reduce its weight, allowing the compressor to operate at higher energy efficiencies with better performance than ever before, while producing low sound levels both during start-up and while running.